3 Beds 3 Baths 1 Partial Bath 1,532 Sq. ft.
BACK ON THE MARKET DUE TO FINANCIAL GLITCH!!!! !Come see this very well maintained townhome in desirable south Duval county gated neighborhood. Great schools with awesome ratings. Very convenient to shopping, restaurants, Brooks Rehab, Baptist South Hospital, as well as having easy access to I295 for traveling to other parts of Jacksonville. Amenities include a large pool, cabana and well equipped fitness center. Nice view from private back screed porch. Lovely place perfect for a busy lifestyle with low outdoor maintenance that is provided by the HOA. It is two stories with a ground level garage and one car space behind the garage. Main living area downstairs and bedrooms and laundry room upstairs. Very nice area of town. Definitely put this one on your must see list! Previous offer fell through. Directions: Take I-95 to exit 335 (St. Augustine Rd) and go left. 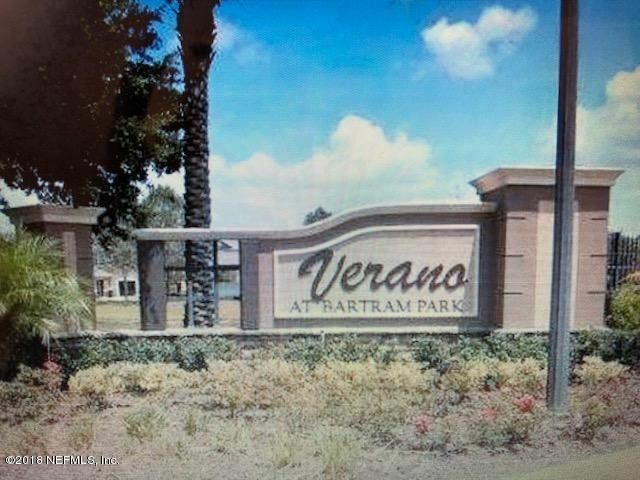 Take a left onto Bartram Park Blvd., Go .06 miles and turn left onto Spring Rain, then go right onto Solar Drive. 13349 Solar Dr on left.